Have you ever noticed that on most phones and computers, overlanding auto-corrects to overloading? 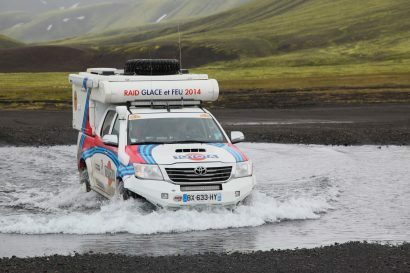 Call it a fun coincidence, but it’s also appropriate given our tendency to weigh down our vehicles with bumpers, winches, armor, tents, and other equipment. Any of these upgrades can add comfort or capability, but they also make the engine work harder, reduce acceleration, decrease fuel economy, increase wear on the transmission, and in general, make the vehicle less enjoyable to drive. When you add larger tires on top of that, which we almost always do, you’ll find it only aggravates the situation. So how do you fix it? At this point, many owners might think they need more power. If they could install a turbo or supercharger, the truck would be restored to its former self, right? Well, not exactly. While additional horsepower may make the vehicle feel a bit faster, it still doesn’t solve the problem. In fact, it will likely create new ones, like decreased transmission life or an awkward power band on the trail, but what if I told you there was a way to return fuel economy, improve acceleration, and reduce the strain on the driveline—all for a fraction of the cost of a turbo? Well, there is, and it is a simple matter of re-gearing. 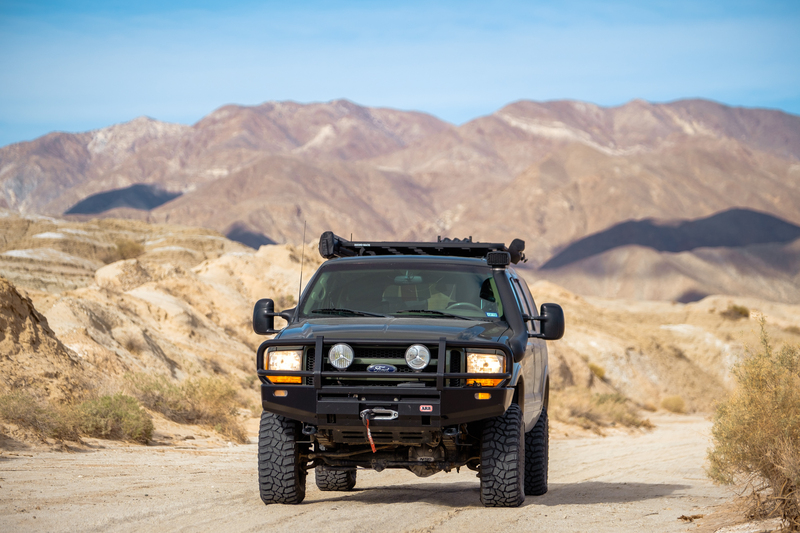 A lot of people struggle to understand exactly how gearing affects their vehicle’s performance, so we wanted to clear things up with some basic terminology and explanations, starting with the differential itself. Imagine your high-school running track for a moment. You and a friend line up side by side at the start of a bend, with your friend on the inner lane and you in the outer lane. After the whistle blows, you both run at the same speed, but your friend finishes the corner first because the distance around the inside of the track is shorter than on the outside. Well, this same process happens with the inner and outer tire of a vehicle when turning, but as you can imagine, one side of your vehicle finishing a corner slower than the other wouldn’t really work out, and that’s where the differential comes in. The differential allows the wheels on the same axle to rotate at different speeds, which is critical when turning to prevent the outer wheel from having to skip or jump to keep up with the inner one. The differential does more than just allow the wheels to turn at different rates; they also change the direction of power and affect the amount of torque being transferred to the wheels. Let’s take a look at how this is accomplished through gears. A closer look at gears, and what ratios like 4.10, 3.73, or 4.56 mean. When people talk about gears inside differentials, they’re referring to the ring and pinion which are the main gears inside of the axle. The pinion is the drive gear extending from the drive shaft and imparts power to the ring gear. The ring gear is the driven gear and redirects this power 90 degrees out through the axle to the wheels. If both the ring and pinion gears were identically sized with the same number of teeth, they would have a gear ratio of 1:1. 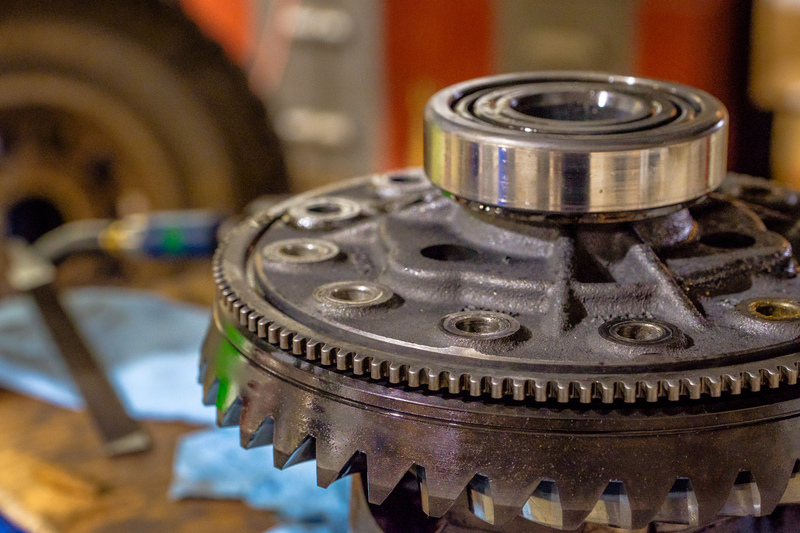 This means that for every rotation of the drive gear (pinion) extending from the drive shaft, the driven gear (ring) would also rotate one time. It also means that there is a direct transfer of torque at a 1:1 ratio. This wouldn’t be very effective for normal driving conditions, as the engine would have to work extremely hard to turn the tires. That’s why we use lower gear ratios which multiply the torque of the motor to the wheels like a breaker bar acts to increase torque on a bolt. Lets’ look at an example. Let’s say your pinion gear has 10 teeth, but you use a ring gear that is much larger with 41 teeth. To figure out your gear ratio, you divide the number of teeth on the driven (ring) gear by the number of teeth on the drive (pinion) gear. That’s 41/10 = 4.10, giving you a 4.10:1 ratio between the two. This means two things. First, that every time the larger ring gear rotates one time, the smaller pinion gear will rotate 4.1 times. More importantly, it also means that the torque being transferred from the driveshaft to the wheels was multiplied 4.1 times because the larger gear acts like a lever applying more torque to the wheels. This means the engine doesn’t have to work nearly as hard to accelerate and maintain speed. So why don’t manufacturers just use the lowest gearing possible? Let’s take a look below. Because gearing directly impacts the amount of torque applied to the wheels and the number of rotations the wheels make relative to the revolutions of the engine, they influence a much broader range of factors than many people realize. Things like fuel economy, acceleration, top speed, and towing are all interconnected through gearing, but often in opposing ways. When you improve one, you usually harm another, so the gear ratios must be delicately balanced if you want a practical vehicle to drive. That’s why manufacturers have traditionally taken painstaking efforts to find the sweet spot between efficiency and performance. 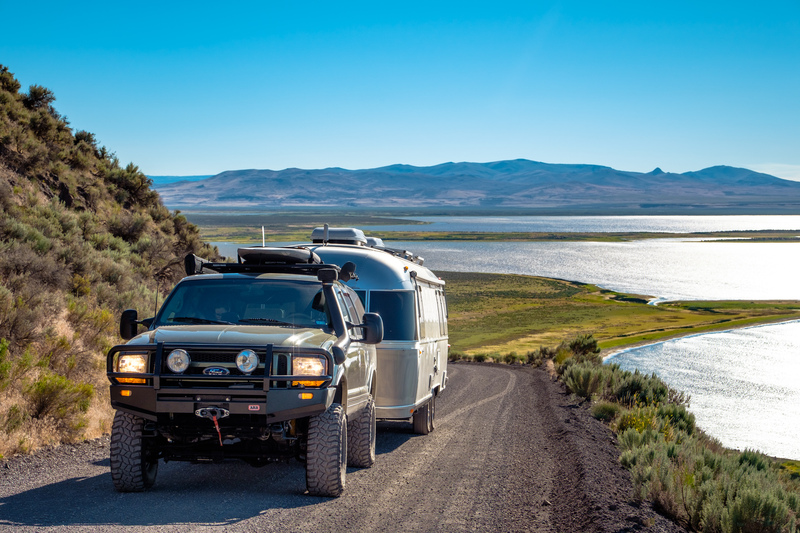 To get a good example of exactly how gearing will affect a modified vehicle, we reached out to Just Differentials in Cashmere, Washington, for precise numbers on engine rpm, gear ratios, and how they all correlate in a 2007 FJ Cruiser. Let’s say you just bought an FJ Cruiser. It is bone stock with a gear ratio of 3.73:1 and 31-inch tires, so your motor will turn at 1,839 rpm at 65 mph. This is where the vehicle was designed to run, and its engine will operate efficiently in this portion of the power band. Fuel economy, acceleration, and highway cruising are all well balanced right now. 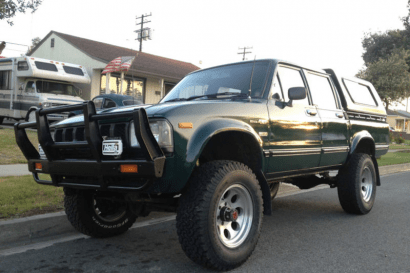 You just received your tax return though, so you add a lift, 34-inch tires, some bumpers, and a tent. This increases weight, aerodynamic drag, and rotational mass, but there’s another factor at play too. Because the tires have a larger circumference, your vehicle now travels a greater distance for each rotation of the wheels, which translates to a higher speed of travel for the same engine rpm. Looking at it another way, your engine rpm is now lower at 65 mph than it previously was. This might seem like it would be efficient, but remember, these modern trucks are already tuned to the lowest rpm possible, and this change drops the motor out of its optimal range of the power band giving it less torque and horsepower than before to move more mass. You’ll quickly find that the acceleration has been hindered, forcing the vehicle to struggle its way up to cruising speed. Once it reaches highway speed, things aren’t much better. At 65 mph with factory 3.73:1 gearing and 34-inch tires, your motor will be turning at 1,607 rpm, 232 revolutions less than where it was intended to be. That’s below an acceptable level to keep the FJ at 65 mph, which causes the transmission to downshift, spiking the rpm way up and accelerating the truck back to 65 mph. It soon shifts back to a higher gear in an attempt to cruise at your desired speed, but runs out of steam once again causing a downshift, and so the cycle repeats. This tendency to hunt between gears is not only annoying but contributes to poor fuel economy and accelerated wear on components. So the question becomes, how will re-gearing change this? To see how re-gearing plays out, let’s take another look at our Toyota again. 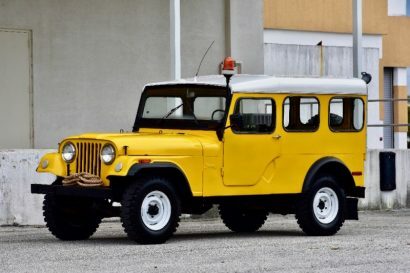 As you’ll recall, with 3.73:1 gearing and 34-inch tires the FJ would run at 1,607 rpm at 65 mph, where its factory spec would have placed it at 1,839 rpm. Now, let’s say you switch to 4.10s. With this gear set, you’ll find the truck cruises at 1,817 rpm at 65 mph, which is very close to stock. 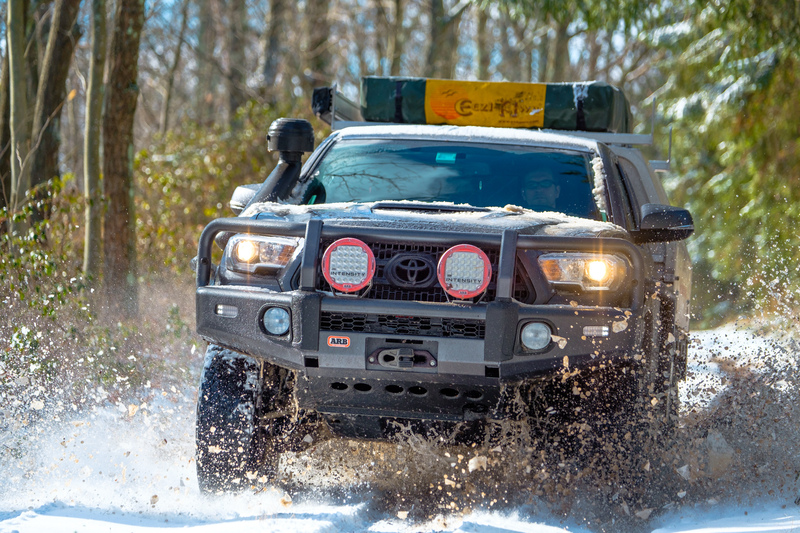 That makes up for the larger tires but does not account for the additional wind resistance of bumpers and a tent or the weight of armor and camp gear. So we move on to 4.56:1 gearing, which places the rpm at 2,021. While it is slightly higher than factory, this will put the FJ back in the proper range of its power band, giving it enough torque to overcome its own drag and maintain speed on the highway. That translates to better fuel economy, lower transmission temperatures, and improved acceleration and towing performance. Unfortunately, re-gearing to factory or close to factory specifications isn’t always enough. As we mentioned earlier, manufacturers have traditionally taken painstaking efforts to find the sweet spot between efficiency and performance, but thanks to new EPA regulations, that balance is rapidly shifting. Where four-wheel drives used to be geared lower for more utility, companies are now under immense pressure to squeeze out every bit of fuel economy they can, which encourages them to select much higher gear ratios for lower cruising rpm. 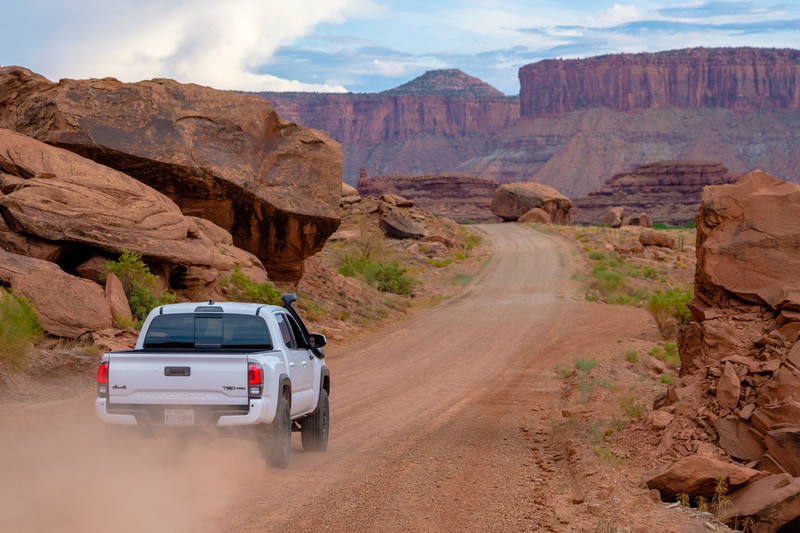 This theoretically improves miles per gallon when stock, but also places these trucks and SUVs right on the brink of their operating envelope, an envelope they rapidly exceed once you add even slightly larger tires or an additional payload. The result is actually worse fuel economy and poor performance. One of the best examples of this problem is undoubtedly the third generation Tacoma with the automatic transmission. 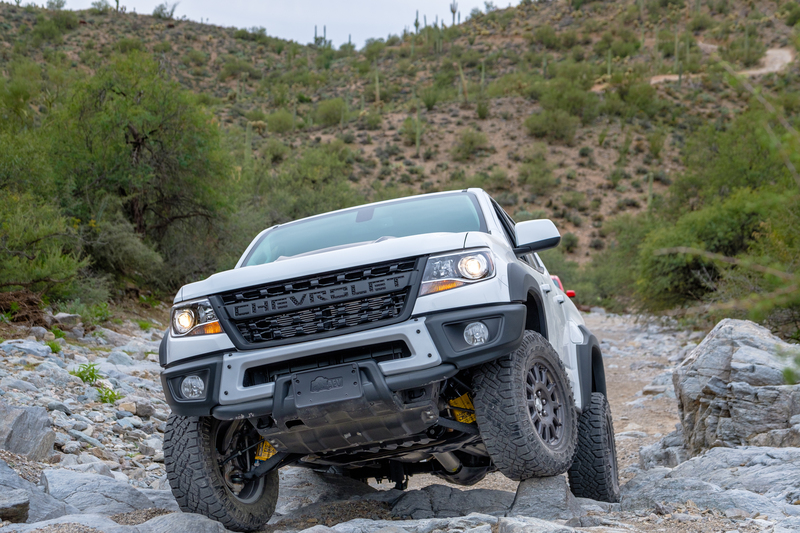 Although the 3.5L motor has taken the brunt of the blame for the truck’s sluggish behavior, it has more to do with its stock gearing. Let’s look at highway performance as an example. If you take the third gen’s factory 3.90:1 gear set from the automatic and combine it with the 0.58:1 sixth gear, you’ll receive a ludicrously high final drive ratio of 2.26:1. 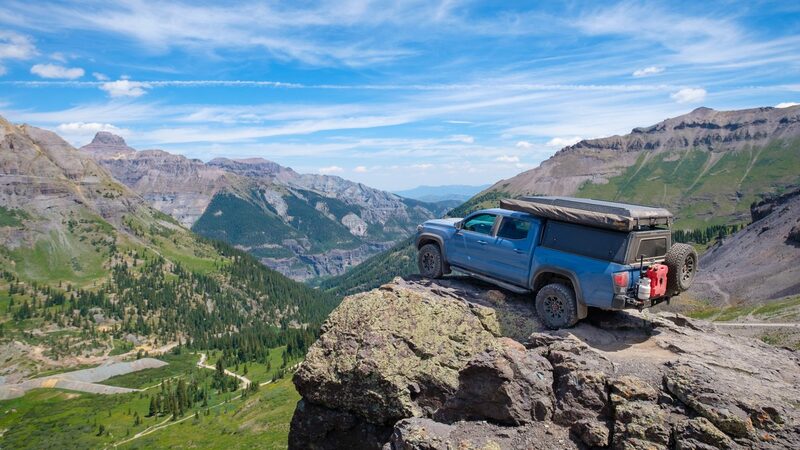 This makes it extremely difficult for the Tacoma to stay in sixth gear, as it is only running at 1,500 rpm at 60 mph or 1,750 rpm at 70 mph. 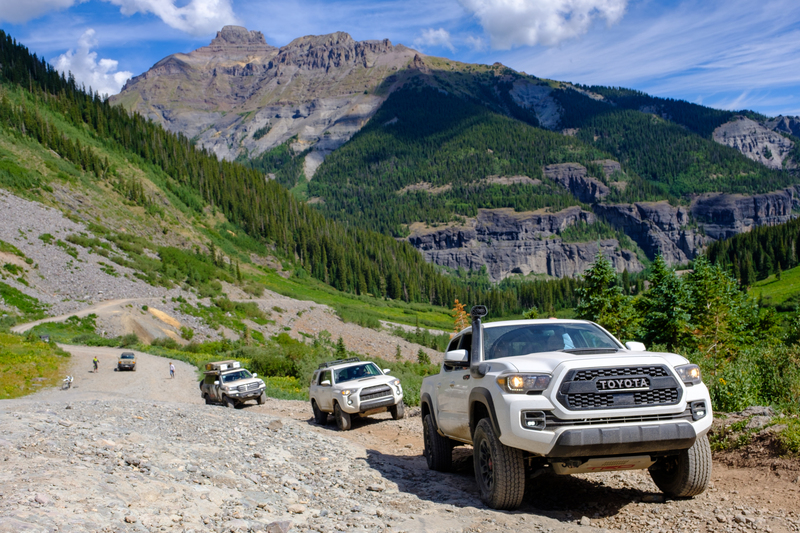 By comparison, the Tacoma with a manual transmission and the same motor carries a 4.30:1 gear set and a .85 sixth gear, giving it a 3.65:1 drive ratio. In other words, you can re-gear an automatic with a 5.29:1 gear set, and it will STILL not match the final drive ratio of the factory manual. To see this problem in action, just check out this short Youtube video. But what about those trade-offs of gearing and the delicate balance we mentioned earlier? Can you gear too low? The short answer is yes, you absolutely can. Lowering your gear ratio raises the rpm at any given rate of travel, so you’ll hit red line sooner in each gear, and thus your overall top speed will be reduced. 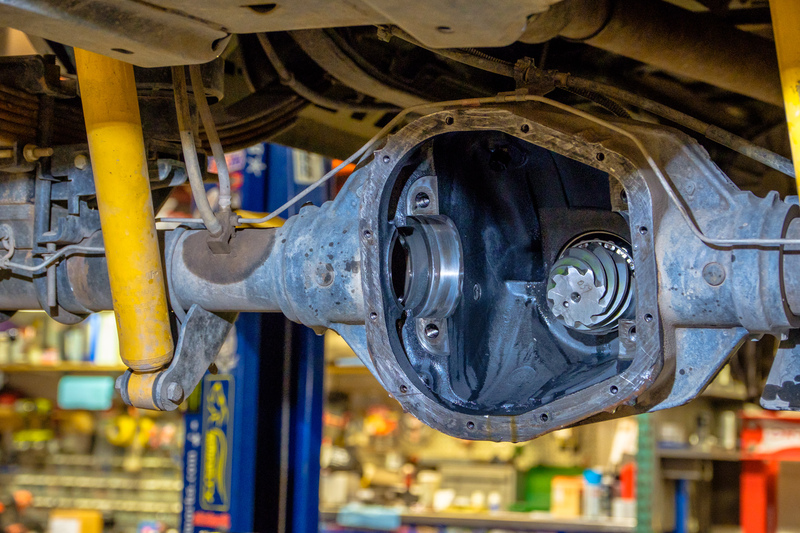 This isn’t a factor with modern four-wheel drives sporting six- or eight-speed transmissions, as your legal cruising speed should be well below the vehicle’s limits of gearing, but it is a bigger risk on older vehicles with four-speed transmissions. If you over-gear in these trucks, you might find that where you used to be able to cruise comfortably at 75 mph, you can now only cruise at 65 mph before the rpm reaches an uncomfortably high level. Like any modification to a vehicle, gearing is about striking a balance that makes sense for its owner, and there is no one best choice. 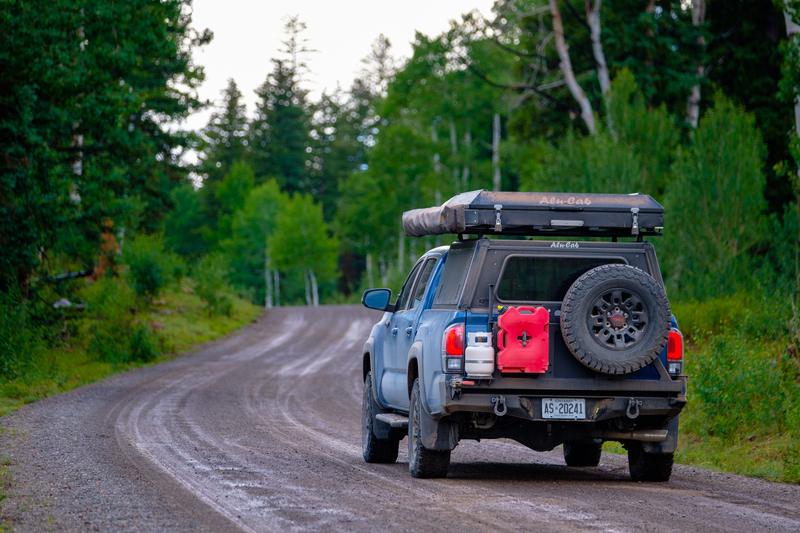 For some, a lower highway cruising speed is a small cost for improved torque to the wheels and a lower crawl ratio, while others might want to stay with a slightly taller gear set to match their factory tire size and retain higher top speeds. It’s up to the owner to determine what gearing will work best for their personal needs. If you’re unsure of exactly what gears will match your needs though don’t worry, you’re not alone. 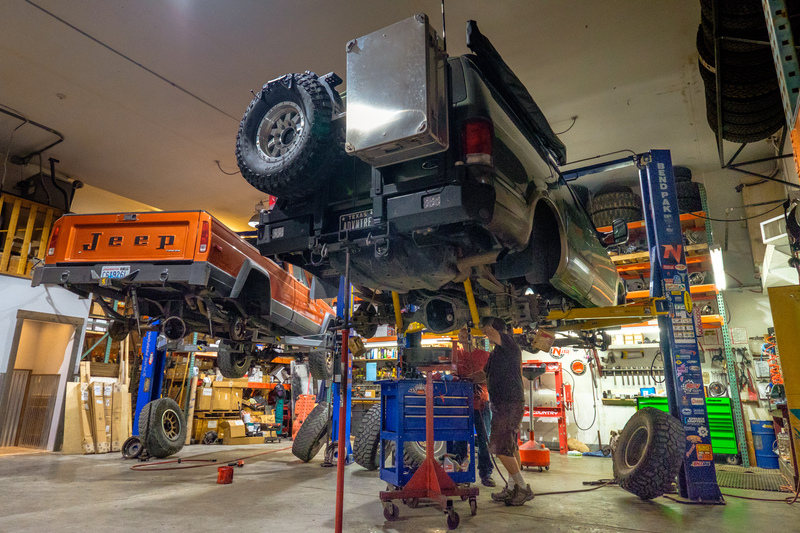 Choosing the right ratios to balance fuel economy, off-road performance, towing, and highway speeds can be a big challenge, but thankfully shops like Just Differentials can eliminate the guesswork. 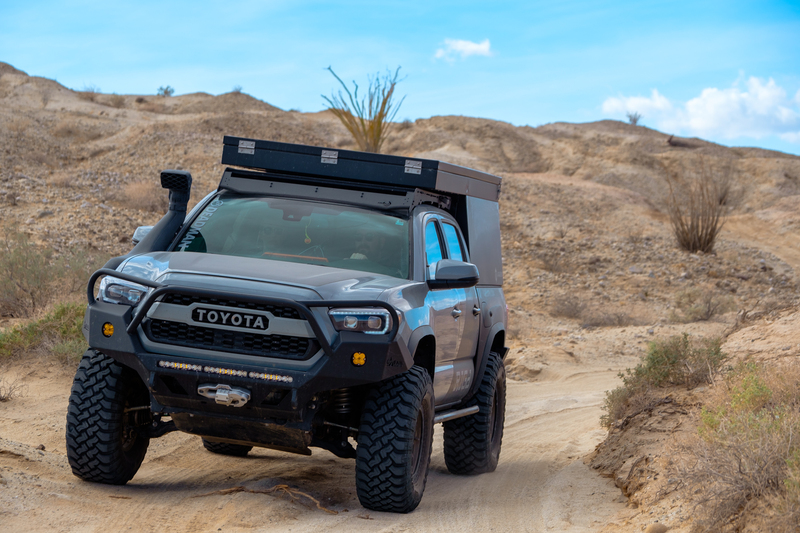 They have already run the calculations, which means you can purchase a 5.29:1 gear set for your 2019 automatic Tacoma knowing that with 33-inch tires you’ll be running at 1,900 rpm at 60 mph, or 2,250 rpm at 70 mph, and that makes life a whole lot easier. We’d like to convey a big thank you to Just Differentials and Nitro Gears for providing feedback and consultation on this article! If you have further questions about gearing, or are looking to re-gear your vehicle, we highly recommend reaching out to them at the following links.